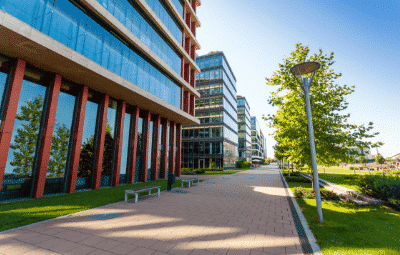 Should You Set Up an S Corporation for Your Real Estate Investment? Home/Should You Set Up an S Corporation for Your Real Estate Investment? In a previous article, we described the many reasons why a partnership or an LLC taxed as a partnership is the most often recommended entity to hold real estate. However, S corporations in the real estate industry have their advantages, too—particularly when it comes to flipping properties, real estate development, brokerages, and other areas where self-employment tax plays a major role. Self-employment tax is the Social Security and Medicare tax paid by self-employed individuals. It is similar to payroll taxes withheld from wages of an employee; however, self-employed individuals (such as house flippers and real estate brokers) must cover the employer and employee portion of the tax. The rate of self-employment tax ranges from 12.4% to 15.3% in 2019. Partners or members of an LLC taxed as a partnership are considered self-employed individuals and their earnings from the partnership may be subject to self-employment tax if they materially participate in the trade or business of the partnership. Income from real estate investment (such as rental income) is usually considered passive income and not subject to self-employment tax—which is why partnerships are a common vehicle for holding real estate investments. So why create an S corporation instead of a partnership? In situations when real estate is treated as an active trade or business, self-employment tax may become an issue that can be solved by using S corporations. So when does a real estate deal become subject to self-employment tax? Let’s go over two scenarios. James and Suzanne buy a property for $350,000 (which they consider a great deal) and plan to either rent it out or hold vacant for a few years to take advantage of market value increase. They decide to sell the property 2 years later for $400,000. They realize a $50,000 gain that is considered passive income, not subject to self-employment tax. Additionally, since the property was held for longer than one year, James and Suzanne benefit from capital gain tax rates that are lower than rates on ordinary income. James and Suzanne are no longer passive investors in real estate. They operate a business of flipping houses and, as such, their profits are subject to self-employment tax and ordinary income tax rates. Upon the property’s sale, their $50,000 gain would result in $6,200 self-employment tax (assuming 12.4%) if their business was structured as a partnership (this is in addition to income tax). However, the S corporation structure can help them minimize the self-employment tax problem. In an S corporation, only a portion of the profits designated as wages is subjected to the self-employment tax. The rest can be distributed as so-called dividends or return of capital without the tax. Suzanne and James are required to pay themselves a reasonable salary for their efforts in the business, but they are also allowed to distribute the rest of the profits without subjecting them to self-employment tax. Real estate flipping is not the only activity that benefits from the entity being taxed as an S corporation. Real estate developers, agents, brokers and management companies are all great candidates for this business structure. Additionally, for some real estate investments, using a partnership and an S corporation simultaneously is a desired structure in which the partnership holds the property but the S corporation holds the operating business. Structures like this require proper tax planning. James Moore’s tax CPAs and advisors are here to assist you with determining entity structure. We’ll review the options for your next real estate development and help you decide whether an S corporation offers the best tax solution for you.